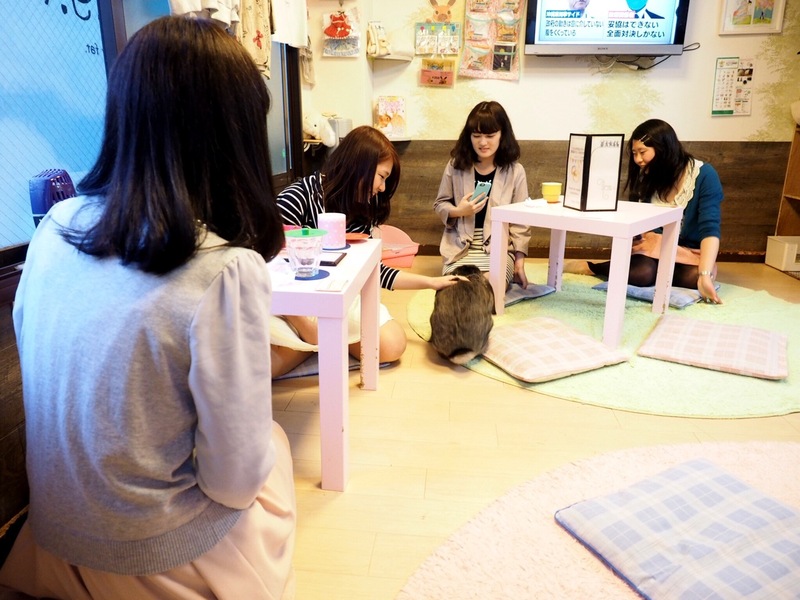 You are here: Home » 6 Things to Know Before Visiting a Pet Cafe in Japan! Let’s face it, the Japanese LOVE their pets! At 21.3 million, there are more registered pets in Japan than there are children!! With numbers like that, you’d think everyone in Japan would own some kind of animal, but pet ownership isn’t for everyone I guess. Before our first trip to Japan, we had heard about these wacky cat cafe’s where you sip some tea while playing with a variety of felines. We were pretty excited to visit one until we discovered that there were more than just cat cafe’s out there. 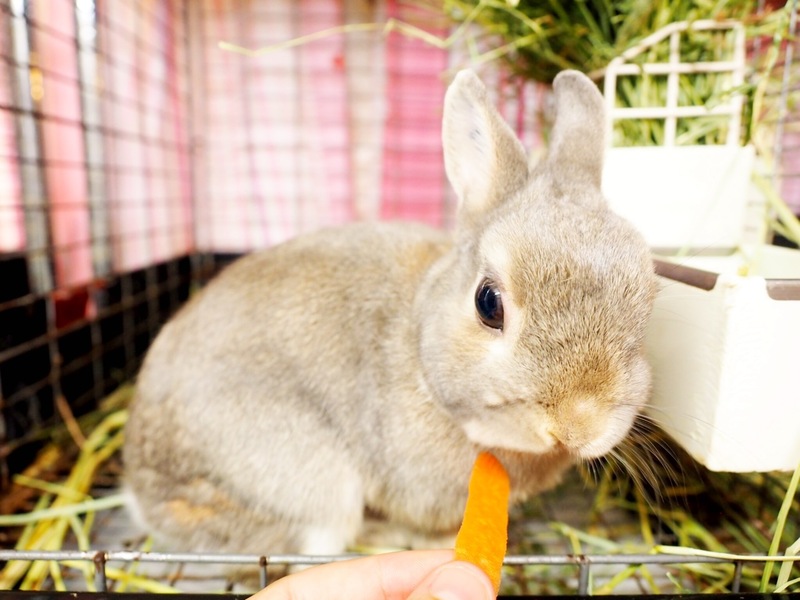 Japan has a cafe for every type of animal lover: rabbits, goats, reptiles, birds…you name it! We wanted to visit them all, but thought it best to save some excitement for our next trip. 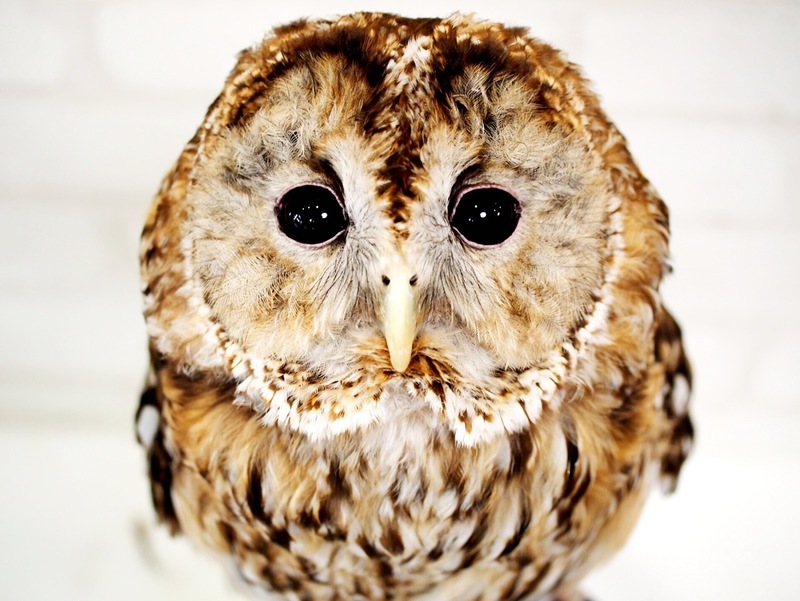 As first time pet cafe visitors, there a few things worth knowing. 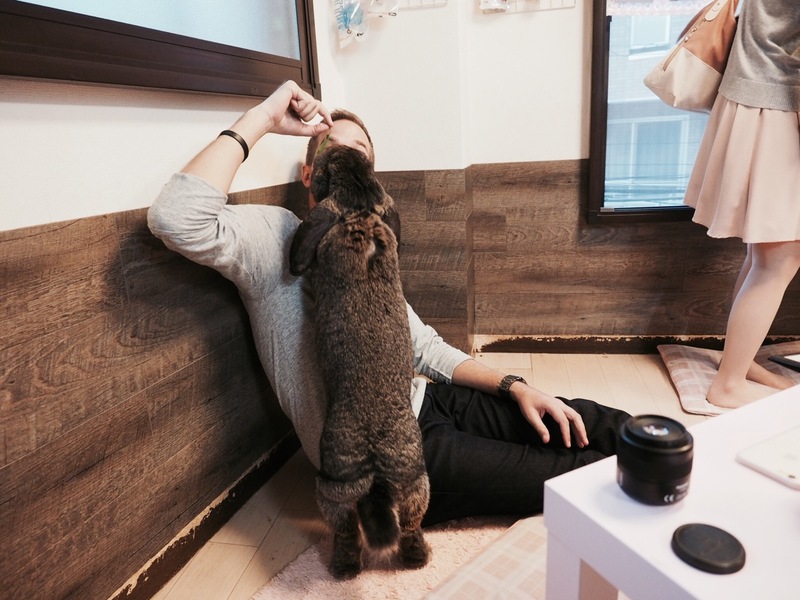 That’s why we’ve put together this trusty list of 6 things to know before visiting a pet cafe in Japan. 1. 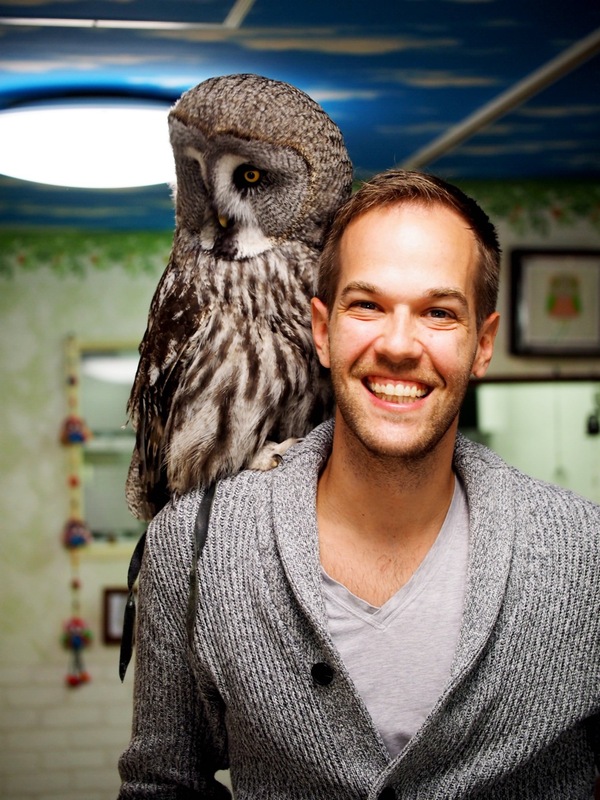 It’s not about the coffee – Understand before heading in, that it is less about having a delicious cup of coffee and more about petting the biggest rabbit in the world, having the cutest owl on your shoulder, or getting to see goats in the middle of Tokyo. 2. Plan to make it a multiple day event – If your goal is to visit as many pet cafes as possible, make sure you understand that travel time, waiting in line, and essentially enjoying yourself will eat up a day pretty quickly. Planning ahead and giving yourself a few days will allow you flexibility in your visits. That, and it’s impossible to handle so much cuteness in one afternoon! 3. Animals need days off too – We may have been a little eager and tried to hit too many cafes at one time (see point 2). 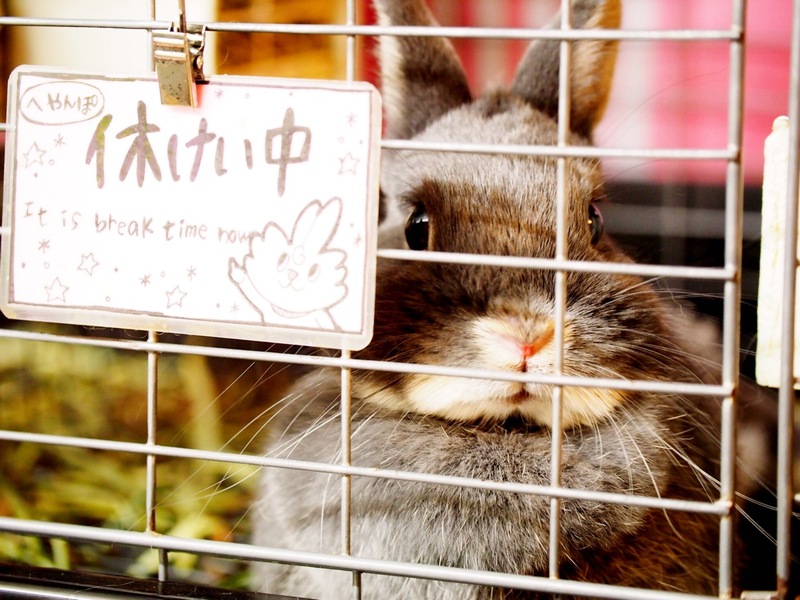 We found out the hard way that animal cafes are closed on various days throughout the week. Do your research and find out the opening hours of each cafe before visiting. 4. 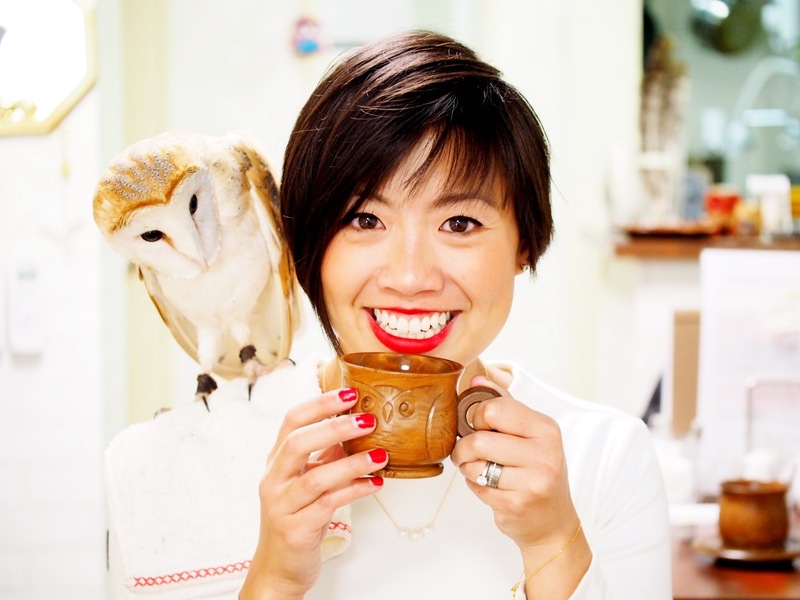 Make a reservation – Animal cafes are hot business! 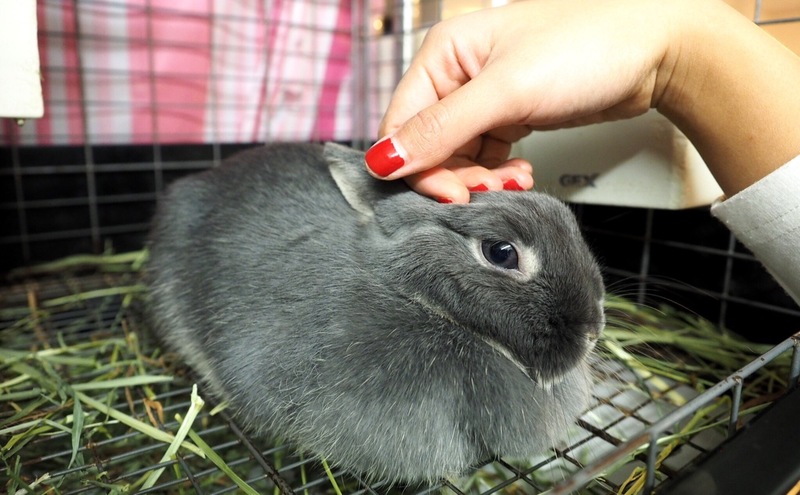 They’re also small and cute (like most things in Japan). Remember too many people make things crowded and can frighten local residents ie. rabbits, kittens, owls, etc. so in some places there is definitely a limit of the number of people allowed in. You may need to go early and understand that you might not get in for a few hours or even that day. It’s okay though, if you’re really serious you’ll be back! 6. Be ready to have the greatest experience of all time – while drinking coffee, tea, hot chocolate, or juice. ← #NepalEarthquake ~ A Plea For Help! 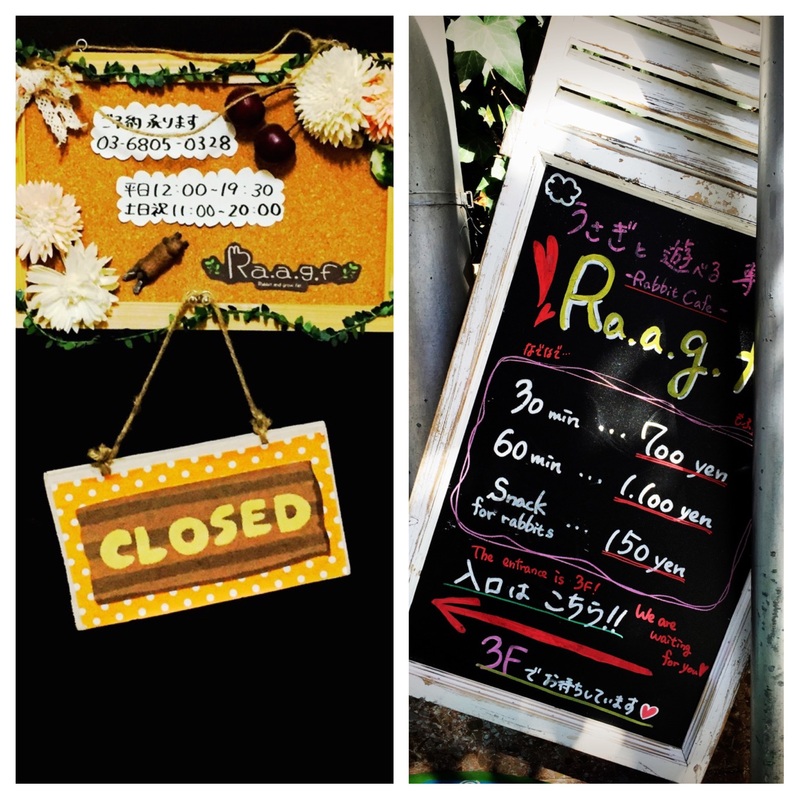 oh yes it took us an hour just of find raagf even though I had a map and I had to ask in japanese 3 times !!! I don’t regret though it was a lot of fun. Hi Mchan, Thanks for the comment! We walked around Harajuku for almost an hour! We definitely agree with you though, totally worth it! :) Did you get a chance to go to the cat cafe across the hall? no maybe because we also have one in Paris so this trip was about stranger cafés ^^. 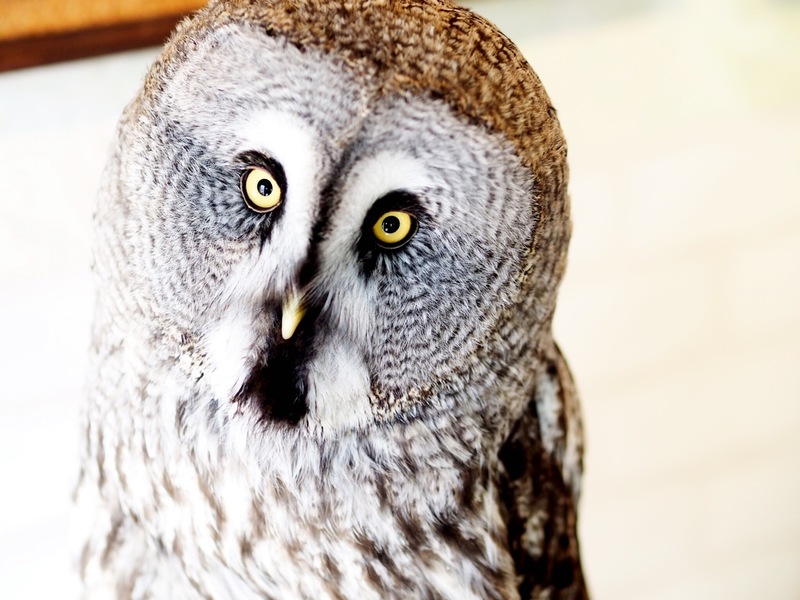 We also went to an owl and parakeet café in Asakusa, a vampire café, and the lockup. Just leaving the lock up we maled past Alice in wonderland café so I’m keeping it for a future trip maybe in october.